From guidance on your solution vision, to full service implementation projects, to business and technology support services for your existing implementation, Altriva offers services tailored to your needs! Whether considering CRM as an initiative, planning to deploy CRM for the first time, or evaluating an existing CRM implementation, Altriva defines a CRM strategy to ensure your Sales, Marketing and Customer Service systems and processes are properly aligned with your business objectives. Our CRM Strategy approach delivers a long term vision and action plan for continued CRM benefit realization. 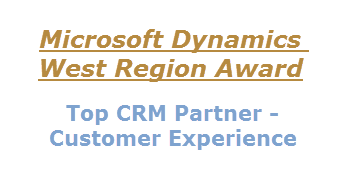 Altriva resources are experts in defining CRM strategies and implementing CRM technology with an average 10+ years of experience across the team, and expertise with Microsoft Dynamics CRM since the initial Alpha release. Altriva resources are recognized experts having achieved the designation of Gold Certified Microsoft Partner in the competency, writing extensively on successful implementation concepts, and building an ever-growing, large number of referenceable clients across many industries. Leveraging a blend of custom development and packaged software, such as Microsoft Dynamics, Altriva is able to maximize the value of the solutions we deliver. Microsoft Dynamics provides an application development platform using a well-defined, well-known framework and provides broad options for implementation architecture from on-premise to hosted to SaaS models. This approach allows us to develop solutions quicker than pure custom development with earlier end-user feedback, better user acceptance, and lower maintenance. Altriva provides an overarching approach when providing integration services to our clients. We use our extensive knowledge of business process, web services, legacy system technology and traditional application development to integrate your new and existing applications to maximize your technology investment. 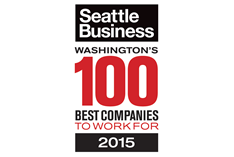 Altriva uses a structured, business process-focused approach to implementing solutions. Defining and documenting an organization’s business processes identifies areas of opportunity to optimize the interactions between individuals, departments, customers, partners, suppliers, systems, etc… and results in solutions that can achieve the expected value. We developed our advisory and support services based on requests for access to our experienced resources in several capacities. Not maximizing the value from your investment due to lack of adoption, data integrity, business fit, evolving business processes, or reporting needs? Planning the next phase of your initiative? Our Advisory services will evaluate your current or planned processes and systems and produce actionable feedback. As with any solution, business changes within your environment, updates to integrated solutions, or unplanned scenarios can require a review of the CRM configuration, customization, or general troubleshooting and fixes. Altriva works with customers to understand the changes, identify potential issues, and modify the solution to best support the organization’s needs. Do you have requests for enabling additional features, extending or expanding the solution, planning upgrades or rollouts, creating updated training approaches? Altriva can work with you to implement targeted and limited enhancements under a support model that provide significant value to the users. 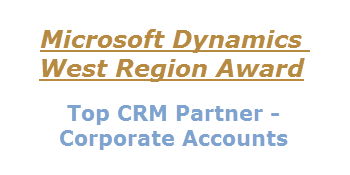 Honoring high-performing Microsoft Dynamics partners with a commitment to customers reflected in their business success and growth. 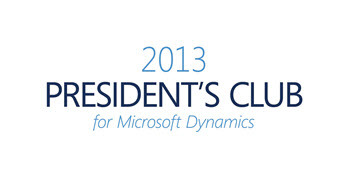 From it's inception, Altriva has maintained a Gold certification from Microsoft for Dynamics CRM. I remember walking out of our first meeting thinking that they know our business processes better than we did! We didn’t want our technology partner to say ‘whatever you want’. We are not the CRM experts. Altriva continually gave us options and their professional opinions which really helped make our implementation a success. Written by Altriva founders Aaron Yetter and Justin Mathena with Hoss Hostetler, Altriva's Director of CRM, Success with Microsoft Dynamics CRM ... is aimed at readers who are interested in understanding how to successfully implement Microsoft Dynamics CRM within their organization. It is intended as an implementation roadmap for the business and technical representatives leading or engaged in a project.